Ohio Food Policy Network — Malik Media | Branding. Marketing Strategy. Design. The OFPN is made up of interested people and organizations who share values and a common vision for improving Ohio's food system. 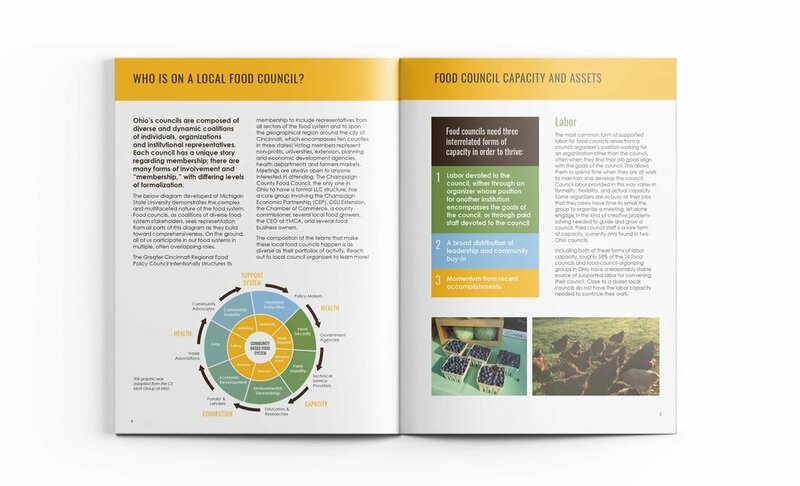 With a core focus of the organization being the advancement of food-related policy, the group needed to build a brand around their efforts to create credibility when meeting with lawmakers and other key stakeholders. With another goal being the recruitment of new members, the OFPN needed a website built to function as a hub for attracting new members and fostering existing membership. 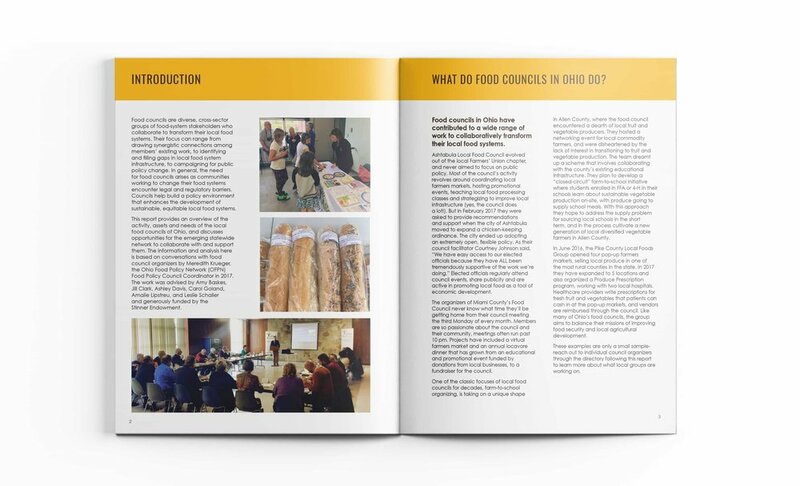 Working with the Ohio Food Policy Network truly allowed us to think outside the box and build the brand completely from the ground up– in less than two months. 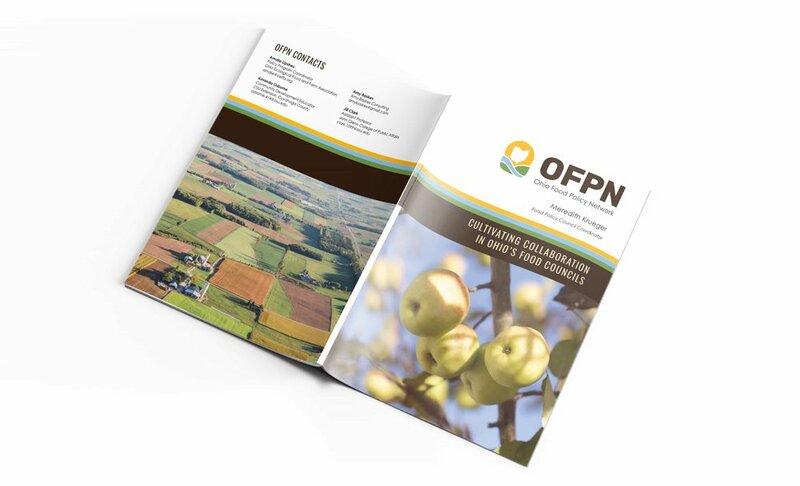 We began our engagement by designing a visual brand identity for OFPN– one that was simple, earth-toned, and clearly conveyed association to food, farms, and the state of Ohio without being cliche. This visual identity laid the foundation for the remaining assets we crafted, including the website and multiple print reports. 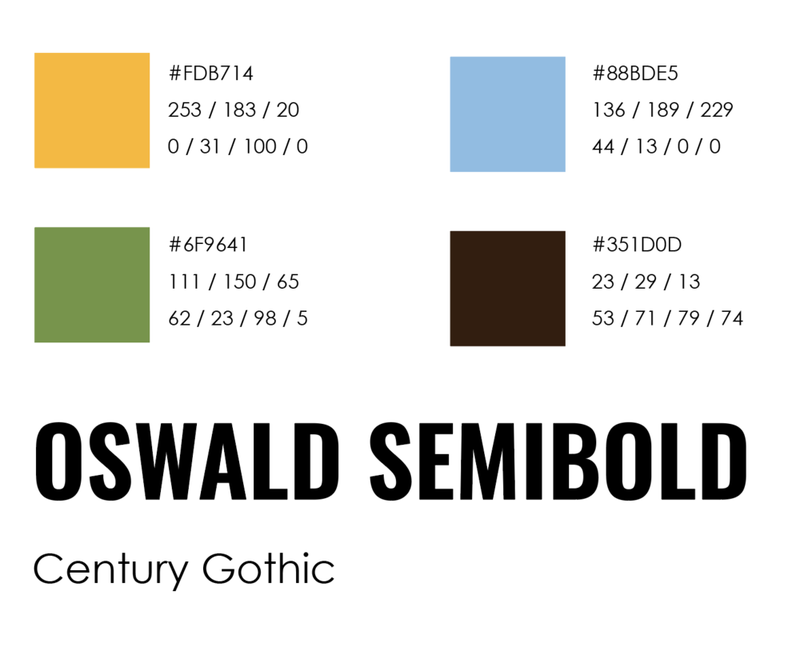 Following the identity design and the print reports, we developed a website for the network. 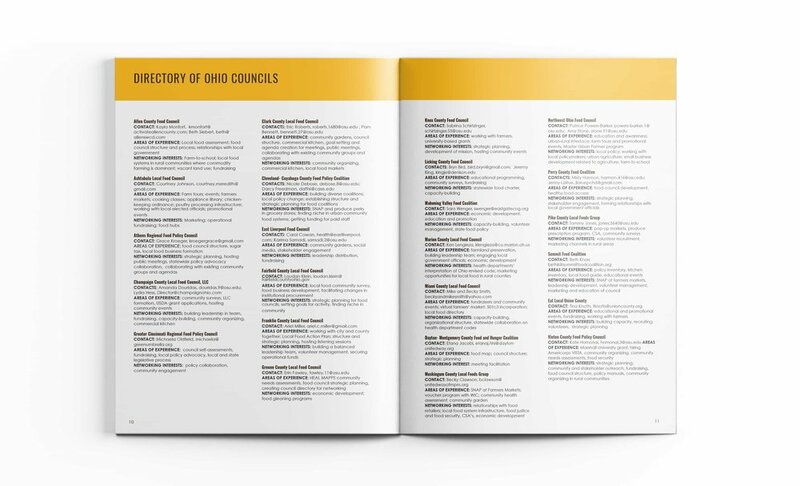 Knowing that the site would be a hub for existing members to connect with one another, we built them an interactive map directory separated by Ohio counties, allowing members to easily search for other councils to connect based on location, interest, and areas of expertise. We also built a dynamic event calendar for the network to easily organize and manage conferences, summits, local meetings, and webinars.